I am a Native of New Zealand now resident in Australia, working in a large public hospital in Melbourne. For several years I studied and wrote screenplays, one of which was optioned by an academy award winning Screenwriter in the U.S. In 2003, I was introduced to an elderly gentleman "who might just have a story worth telling". The day I met Lale Sokolov changed my life, as our friendship grew and he embarked on a journey of self scrutiny, entrusting the inner most details of his life during the Holocaust. 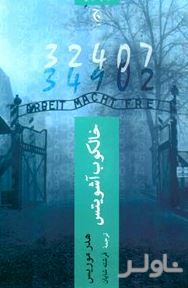 I originally wrote Lale's story as a screenplay - which ranked high in international competitions - before reshaping it into my debut novel, The Tattooist of Auschwitz.